Welcome to the 375th Virtual Poetry Circle! Welcome to the 241st Virtual Poetry Circle! Also, sign up for the 2014 Dive Into Poetry Reading Challenge because there are several levels of participation for your comfort level. 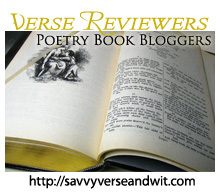 For more poetry, check out the stops on the 2013 National Poetry Month Blog Tour and the 2012 National Poetry Month Blog Tour. And think about participating in the 2014 National Poetry Month Blog Tour — signups will begin in March. "I loved you first: but afterwards your love"
What do you think? Do you read poetry to your Valentine?